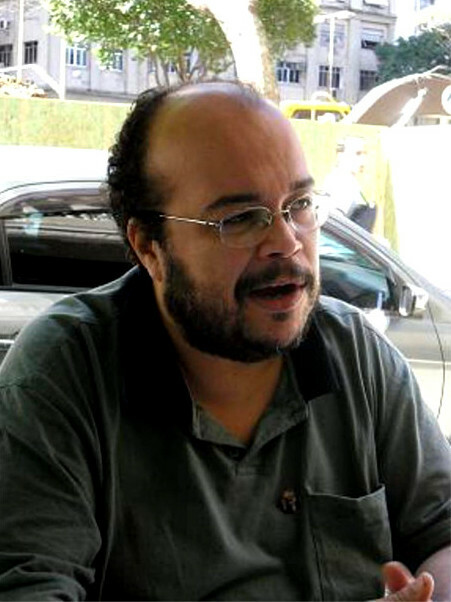 Renato “Cinco” Athayde Silva was elected to the City Council of Rio de Janeiro in 2012 as a member of PSOL, a Brazilian left-wing party created in 2004 in opposition to liberal measures taken by the Lula government. Born in Rio in 1974 and trained as a sociologist, Renato Cinco is Vice-President of the Commission on the Defense of Human Rights at the City Council and now chairs the city’s Special Committee on the Water Crisis, which is set to release its report after more than a year of investigation. Martin Pigeon was invited by the Committee for an international conference on the water crisis in the city, and used the opportunity to interview him (interpretation: Amanda Menezes L. de Castro).Martin Pigeon: Renato Cinco, who are you? Renato Cinco: My name is Renato Athayde Silva, “Cinco” (five) is a nickname I received at school and I have made it my political name. I am an activist of the revolutionary left, a socialist, a democrat. I belong to Insurgência, a Trotskyist political group within the PSOL (Socialism and Liberty Party), we are part of the reunified Fourth International. I have been an activist since my student years and recently I have been particularly involved in the struggles against the prohibition of marijuana in Rio. Our campaign for this has been to “stop the war on the poor”: this criminalisation makes criminal gangs prosper, at the expense of entire neighbourhoods. I was elected to the City Council in 2012 in part thanks to the vote of young people because I am known for this, but that also means that the media tends to portray me only as a one-issue person. RC: Before me there was no environmental activist on the City Council. Environmental issues were always on the radar for my generation, but were not necessarily seen as an emergency; there was not much action. The dramatic ongoing water crisis in São Paulo caught my attention, in particular because of the risks for political destabilisation that it created. There were revolts, robberies… very quickly after water shortages started. I discovered in the Spanish newspaper El País that the Brazilian army had even organised exercises to seize control of the water system and, basically, the whole city in case they would consider it necessary! That tells you how serious the situation is. I started to publish posts on social media calling for materials and testimonies on the situation, and I realised quickly that this crisis had been announced for more than 10 years by specialists but that nothing had been done. 1. According to Brazilian newspaper Estadão, this company would have contributed to two thirds of the PMDB’s revenue in 2013, the rest being mainly beverage companies.